IRON GRIFFIN, the vintage metal project from MAUSOLEUM GATE drummer Oskari Räsänen, will release its first full-length, “Curse Of The Sky” on March 22 via Gates Of Hell Records. LISTEN TO “REIGN OF THUNDER” on BANDCAMP! The follow-up to the band’s 2017 self-titled EP, the instrumentation for “Curse Of The Sky” was recorded in July of 2018 at Räsänen’s rehearsal room in Kuopio, Finland. Vocals were tracked in Joensuu, while synthesizers were recorded in Helsinki. Like the self-titled EP, “Curse Of The Sky” finds Räsänen once again handling all instrumentation and recording the album himself. He is joined by a new face, female vocalist Maija Tiljander, who he discovered several years ago singing European power metal covers in a Finnish bar. Impressed, he took a mental note of Tiljander’s abilities and when it came time to work on “Curse Of The Sky”, he felt compelled to track the vocalist down. 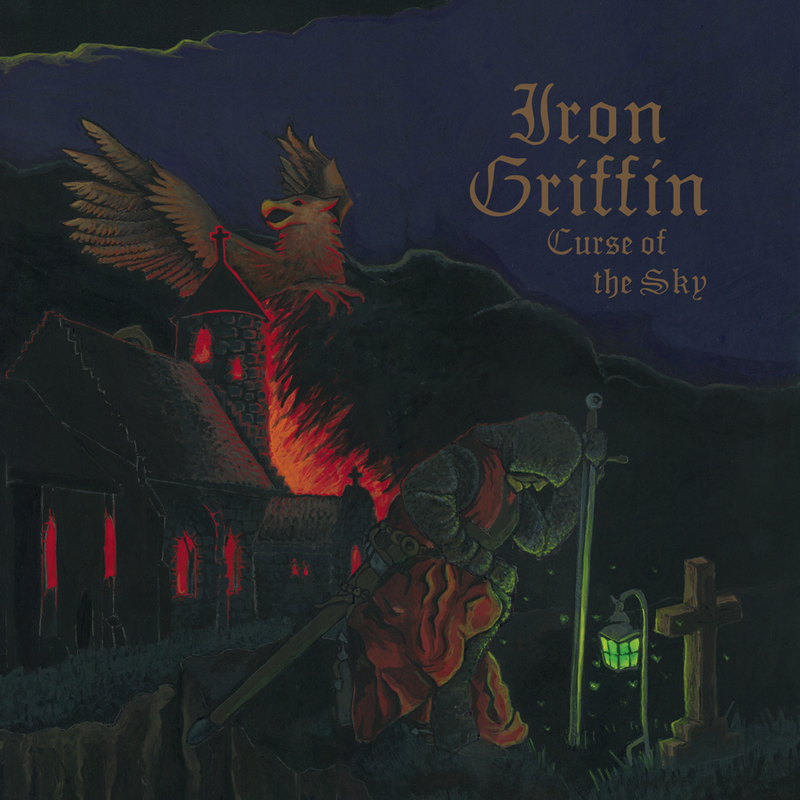 While he’s very much comfortable in a full band environment like MAUSOLEUM GATE, in IRON GRIFFIN, Räsänen admits that working alone does present its share of obstacles, especially when he wants to try new ideas out. But, through the process of elimination and sheer perseverance, Räsänen is often able to emerge with songs he can stand by, which is why he will continue to do all instrumentation himself.